The cost of birth control and who should pay for contraceptives has been part of a heated national debate for years. Unfortunately, there isn’t an end in sight to the debate, but there are many contraceptive options for women and men that are both affordable and readily available in every state of the U.S. 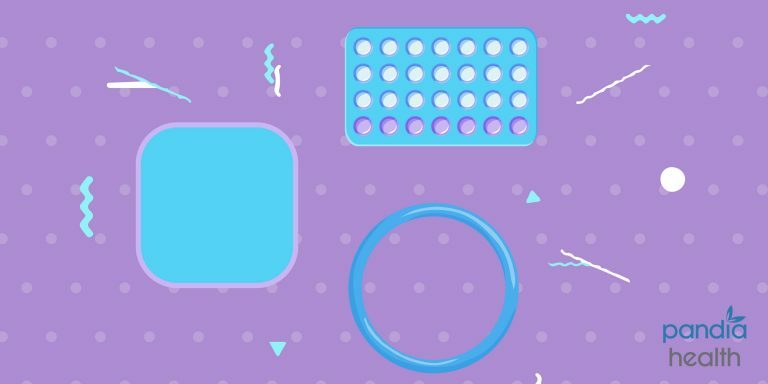 The following article will break down the different types of birth control and how much they cost. There are five different types of birth control methods, and they range in cost from free to several thousands of dollars. In the U.S., insurance rates and coverage vary widely because the country operates on a system of tiered pricing. For some women, their insurance through their employer may offer free or low-cost long-term birth control options. For other women, they may have to pay out-of-pocket for hormonal birth control if they do not have insurance and are ineligible for Medicaid. To make things even more complicated, Medicaid eligibility requirements and coverage vary by state. Hormonal birth control includes the pill, patch, IUD, implant, and the vaginal ring. The birth control pill is effective 91% of the time with regular use. Prices for birth control pills can vary significantly depending on a person’s insurance. Some people who are considered low-income or disabled can qualify for government assistance or government medical programs that can pay for birth control pills. One pack of birth control pills last for one month, and prices can vary from $0 to $50 for name-brand pills without insurance coverage. Some women may wish to take birth control pills continuously to suppress menstruation. In this case, the cost of using birth control pills can increase. It’s safe and also effective to choose generic, or non-branded forms of birth control pills to lower the cost. Generic birth control pills are just as effective as name brand pills and can save women a lot of money. Most people will have to see a doctor or a nurse to get a prescription for birth control pills. A visit for birth control can cost anywhere from $35 to $250. However, insurance plans under the Affordable Care Act must cover doctor visits related to birth control. For some, the costs can still be prohibitive. Planned Parenthood and other organizations can help people find birth control pills that fit their budget. Hormonal IUDs are 99.5% effective and can last from three to five years. An IUD can cost between $0 and $1300, which is a pretty wide price range. Prices include the cost of the IUD, doctor visits, and having the IUD inserted. Under the Affordable Care Act, insurance plans must cover IUDs, but plans will vary based on which brand they cover. It’s possible to get a free, or reduced cost IUD through Planned Parenthood, or through government insurance. Birth control patches last for one month and cost between $30 and $35. Office visits to obtain patches can range from $35 to $250. Implants can cost between $0 and $1300, which includes the implant itself and office visits to have it inserted. Getting an implant removed can cost between $0 and $300. Fortunately, implants are free or low-cost with most insurance plans, or government assistance programs. Birth control rings cost between $30 and $200 per month. Planned Parenthood clinics can sell them for less, and most are covered under insurance or government assistance programs since the passage of the Affordable Care Act. The copper IUD is 99.5% effective and can cost between $0 and $1300. Most are covered under insurance or government assistance for free or low-cost. A non-hormonal IUD can last for ten years. Male and female condoms are relatively inexpensive and highly effective with perfect use, costing around fifty cents to one dollar each. They are readily available at almost any convenience store. Cervical caps and diaphragms can cost several hundred dollars, including the office visits to obtain them, but they last for up to two years. Spermicides and sponges can cost up to $18 per package. Male and female sterilization is 99% effective and can last forever. A male vasectomy can cost between $350 and $3000, and most insurance will cover the procedure. Prices also vary by state. Female tubal ligations are much more expensive, and they are more invasive surgical procedures than vasectomies. A tubal ligation can cost between $0 and $6000, depending on insurance. The withdrawal or pullout method, abstinence, continual breastfeeding, and fertility awareness methods are all natural forms of birth control that do not cost anything. However, they are not as reliable as other methods. Emergency contraception is available at Planned Parenthood clinics, drugstores, health clinics, and also online. Emergency contraception pills cost anywhere from $25 to $50. Some insurance will cover these pills, but a woman will need a doctor’s prescription to get the pills covered by insurance. The pills are up to 89% effective if used correctly. The costs of birth control vary greatly depending on what type of method someone uses, and whether or not they have insurance. Fortunately, insurance companies cannot deny someone’s prescription for birth control, and all forms of birth control must be covered under an insurance plan since the passage of the Affordable Care Act. However, user error can significantly inhibit birth control effectiveness. And, some lifestyle choices can also make certain types of birth control wrong for someone. Smoking or drinking while taking the pill or other forms of hormonal birth control can increase the risks of strokes, heart attacks, or increase the chances of the birth control failing. It’s crucial that patients talk to their healthcare providers about their birth control options, and whether or not they are a candidate for certain types of hormonal birth control.